Lock City Monuments is a family owned and operated 'Rock of Ages' dealer servicing Sault Ste. Marie and surrounding areas since 1950. We specialize in custom headstones, cremation plaques, monuments, as well as commercial and residential signage. As an exclusive 'Rock of Ages' dealer, we are proud to offer products from one of the world's leading granite quarrier and memorial manufacturers. The name itself implies quality, durability and dependability. 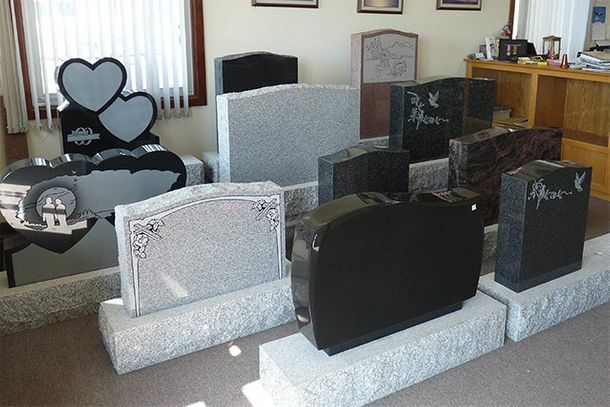 'Rock of Ages' monuments are guaranteed to you and the cemetery without limit of time, by the most trusted granite manufacturer in North America. At Lock City Monument, exceptional customer service and the superior quality of our work are the foundation of our business. We pride ourselves upon our ability to offer the best materials and best service possible for our customers at the most affordable prices. We’re committed to taking the necessary time to listen to each customer in order to find out what they are looking for in order to meet or exceed their expectations. Because we have numerous options available, we’re also proud to provide a truly customizable product based upon our customers’ unique specifications through our personalized consultation process. Let our family help your family with all of its granite and monumental needs today!